Before I visited the land of the rising sun, my knowledge of what to eat in Japan could be summed up in one word: sushi. Don’t get me wrong, I’m a fan and I dined out like sushi was in short supply during my month in Japan, but I spent half of that month with my dad who, after trying sushi for the first time, promptly declared (with a scrunched up face), “mmm, not for me,”. That turned out to be a good thing because it left us searching for other Japanese food to try. 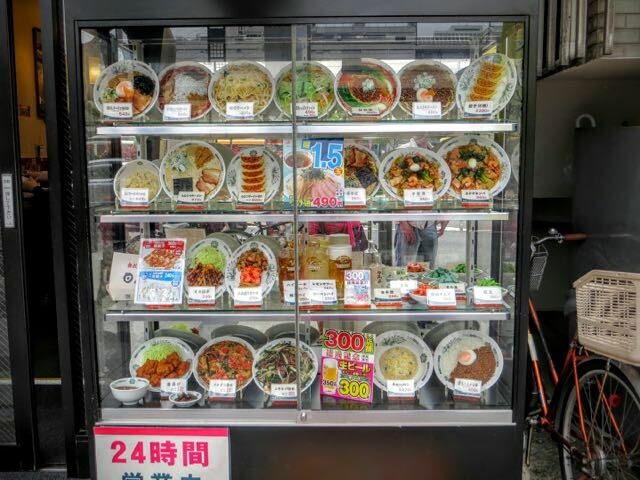 I have to say I was surprised – pleasantly so – with what we found and Japan quickly rocketed into my top 5 favourite food countries (joining Mexico, Italy, India and France). If you’re after a life-changing beef moment, get to Kobe, near Kyoto and put some of this spectacularly marbled beef in your mouth. Yes, these are the famous cows that are reputed to have a lavish beer-sipping, massage riddled life. 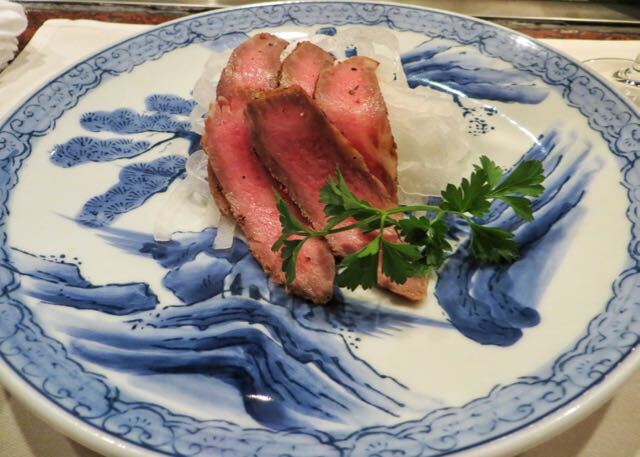 You can read more about eating Kobe beef in my related post here. 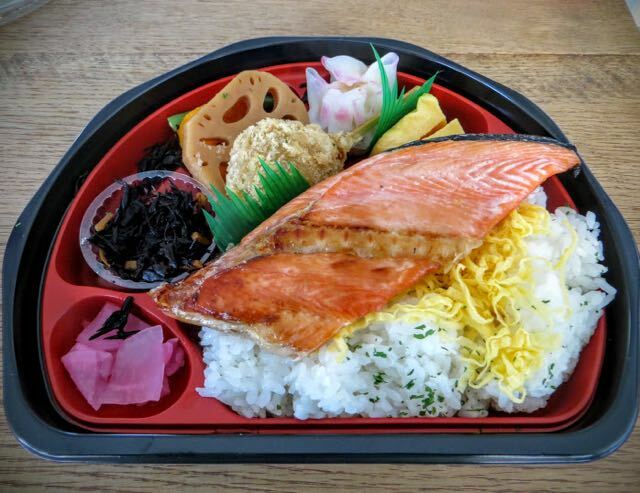 A portable buffet for one, what’s not to love about the bento box? Usually containing rice, fish or meat and vegetables, you’re going to get simplicity and variety all in one meal. Plus, the boxes score high on the cute scale. …ok, the sashimi was my favourite, but don’t tell the others. After sushi, your next best guess of what to eat in Japan is probably going to be noodles and it’s a solid choice because this carb-based food is ubiquitous in Japan. But don’t let that fool you into thinking all noodle dishes are the same – you’ll most likely find yourself facing too many options more than once when you’re shopping for noodles in Japan. Don’t worry about interpreting Japanese – many places have these handy, very realistic, yet plastic representations of what’s on offer. Want to understand your noodle choices? 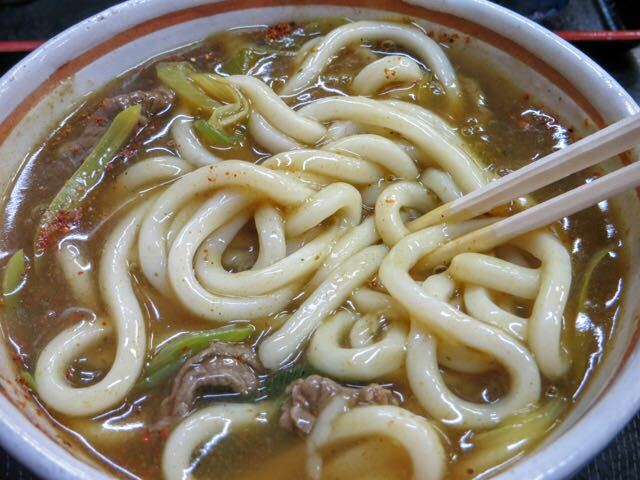 Check out this article – Japanese Noodles for Beginners by Lonely Planet. Oh my word – I became so addicted to Okonomiyaki that I travelled 200 miles within the UK (from Liverpool to London), just to be able to sink my teeth into one of these. What is it? Hmmm, that’s a bit hard to say. Some call it a Japanese pizza. Others refer to it as an omelete. And if I tell you it’s got a lot of cabbage in it, some of you will scroll right on. Don’t. This is perhaps one of the best food inventions in Japan, so I’d recommend trying at least one. There’s quite a performance that goes into the preparation of Okonomiyaki and, if you’re lucky (or unlucky?! ), you’ll be given the ingredients and told to cook it yourself. 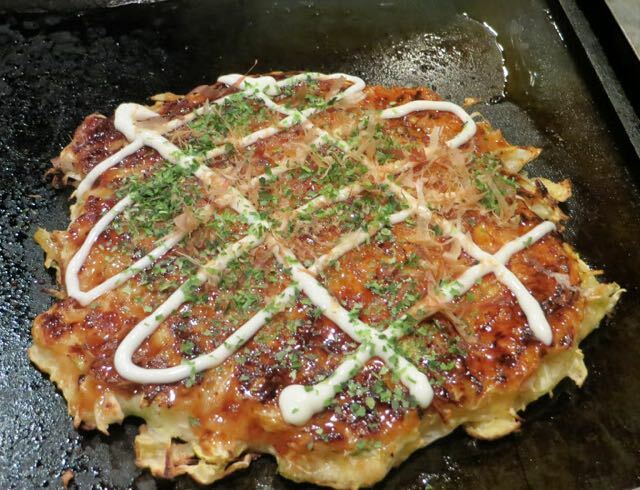 The picture above is okonomiyaki dressed with all the trimmings (fish flakes, barbecue sauce and mayonnaise – trust me, it works). 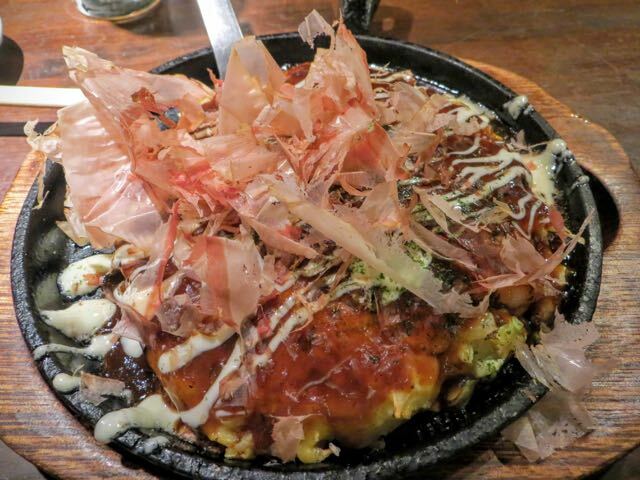 To find out more, read my related post on Okonomiyaki: One of Japan’s Best Food Inventions. 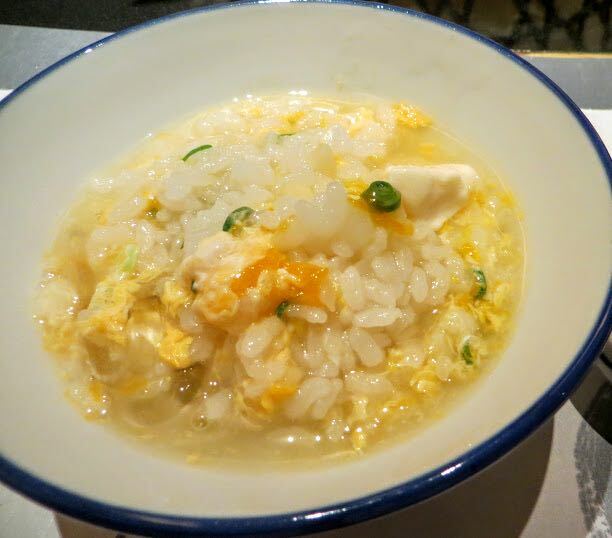 Ignore the fact that this dish is often reserved for those feeling under the weather, the comfort provided by this bowl of gooey rice and egg is off the charts. 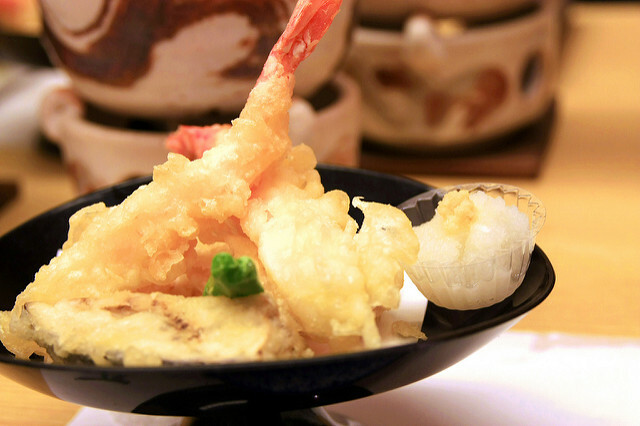 Deep fried but in ‘light’ batter and often covering otherwise healthy foods (vegetables, prawns, for example), if there was ever license to get stuck into greasy food, tempura is that ‘go nuts’ card. 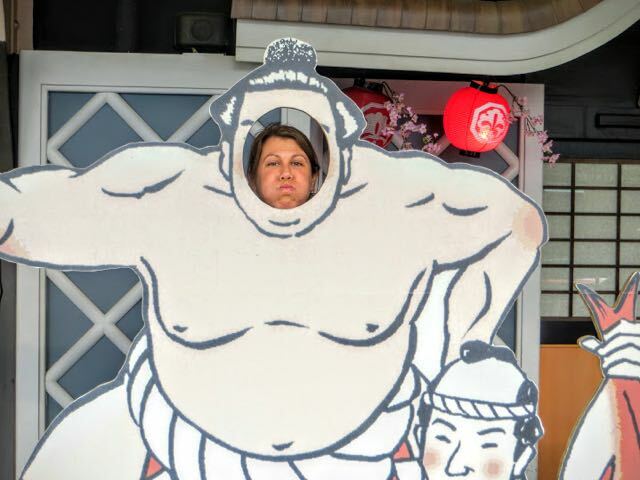 What I look like after eating too much tempura. Step away from the chopsticks. And if your noodle soup is feeling a little lacklustre – chuck some tempura in there. I’m sure there’s more etiquette to it than that, but hey. 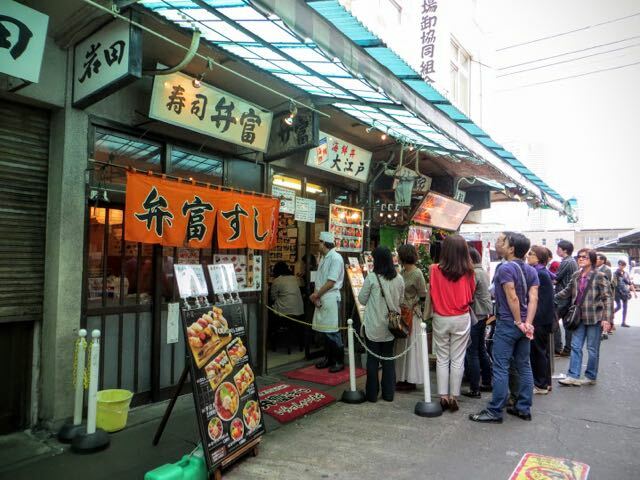 How do you know which places are good to eat in Japan…? 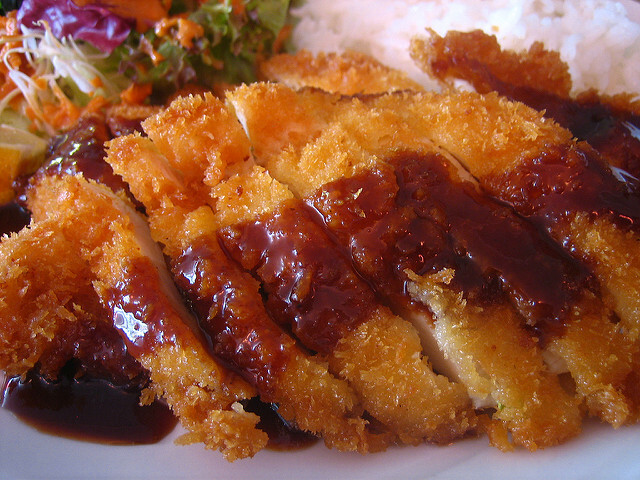 I’m that rare person who doesn’t like breaded and fried foods, so katsu (breaded meat – usually pork or chicken) was lost on me but most people can’t get enough of it. Have it on its own or with curry and rice. 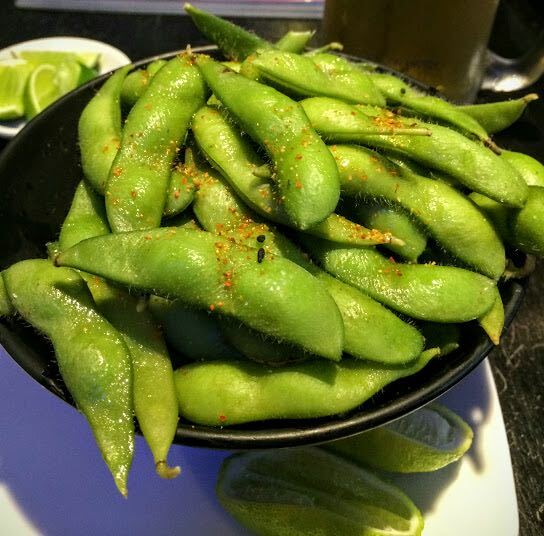 Best served with a cold glass of beer, edamame is the ultimate healthy booze snack. 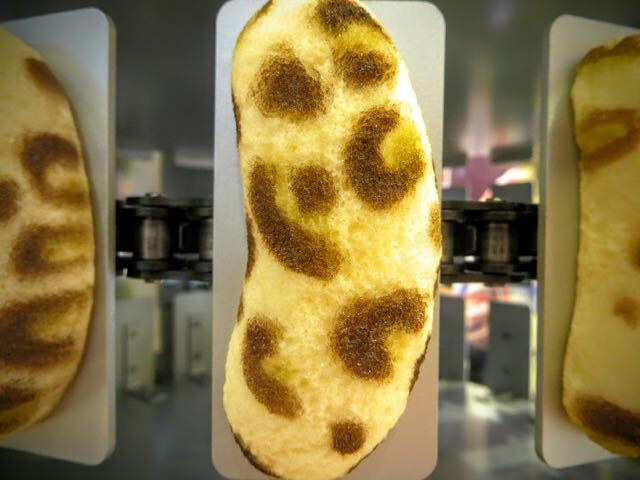 If you haven’t tried it before, beware: the goal is to squeeze the beans out of the flesh with your teeth. You’ll be a long time chewing if you try to eat the whole thing. Oh, and I’m a big, fat fraud because this picture above is from Mexico (believe it or not) – the edamame in Japan didn’t last long enough for me to take a snap. 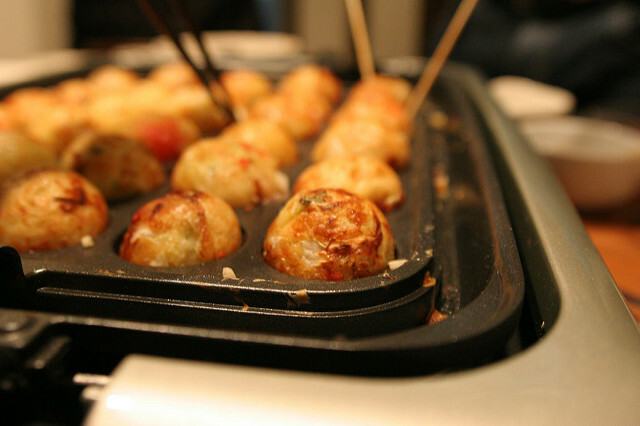 I was pretty excited when I spied takoyaki in Kyoto – they look good, don’t they? And then, as is so commonly the case with food that looks good, I was met with disappointment – in fact, disgust, when I put this in my mouth. In theory, these battered octopus bites should have been great but it was the explosion of octopus sauce that made me want to vom. IMO: TakoYAKI – the clue was in the name. Still, don’t take my word for it, you should try it yourself. You’ll go through a lot of disposable chopsticks in Japan. If that bothers you, why not pack your own. I bought a set with a carry box which I kept in my bag. Here’s a similar set. 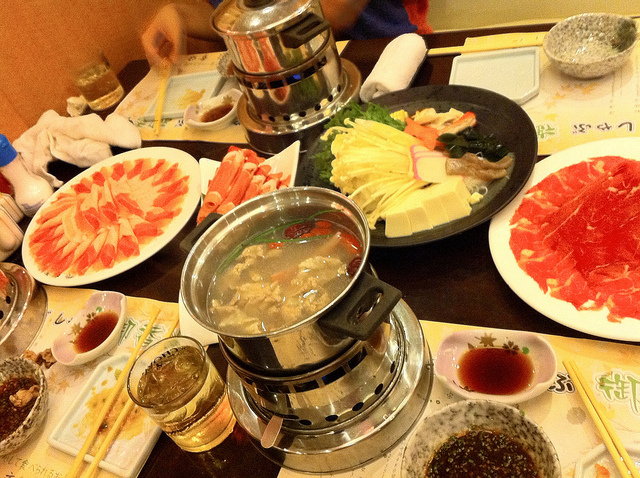 Let’s talk about something nice to eat in Japan…ahhh, shabu-shabu fits the bill perfectly. Strips of meat and vegetables seared in a bowl of hot water, this is a very social meal and you can’t beat the simplicity of the flavours. 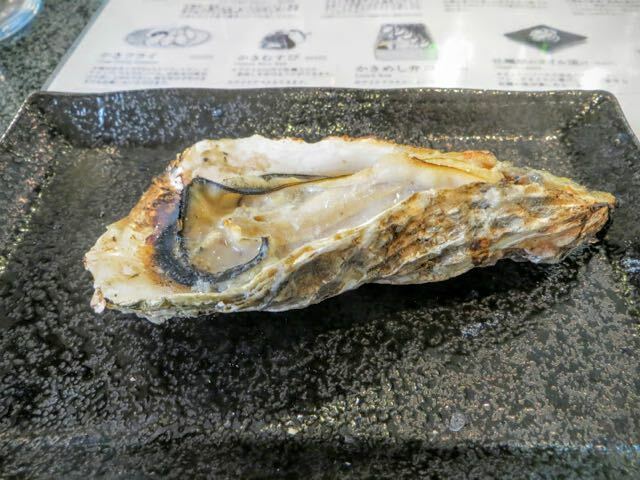 I know, I was surprised too but on the island of Miyajima, oysters are a thing – and they were some of the best I’ve tasted in the whole, wide world (true story). 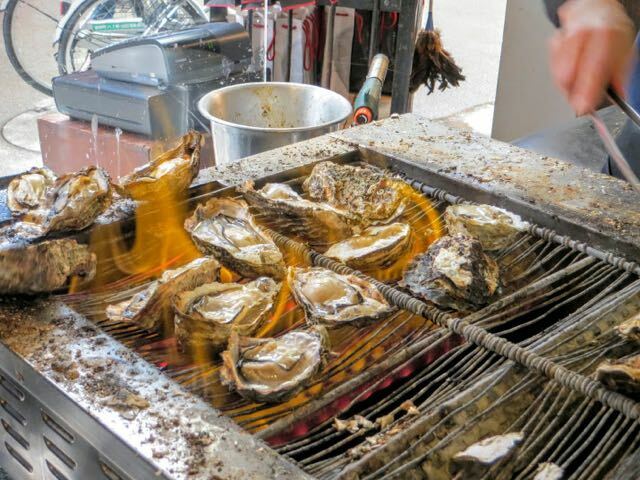 I started with the oiled oysters, shown above before moving on to the barbecued ones, shown below. Not a cheap treat but most certainly a delicious one. Even if you’ve tried and hated raw oysters (I’m not a huge fan), give them a go cooked – it’s an entirely different experience. Promise. If you’re travelling around Japan, the Japan Rail Pass is going to be an expensive but ultimately money-saving purchase. You can only buy it outside Japan so you need to decide before you arrive. You can find out more about the pass and how to buy it in my Guide to the Japan Rail Pass. Speaking of take it or leave it food types: tofu. I’d personally rather eat earth than put tofu in my mouth but if you’re going to give it a go anywhere, Japan, the reputed motherland, is the place to do it. Now to just decide between the types of tofu: soft, firm, deep-fried, fermented (known as stinky tofu, if that helps you decide). Being in Japan, I forced myself and had tofu ice-cream. Not bad as tofu goes. But not something I’d ever crave, either. Ok, this is the one occasion when I will permit tofu within arm’s reach of my chopsticks – when it’s in miso soup. But that’s only because a) I love soup and b) have you ever tried to pick every piece of tofu out of a bowl of miso (I have. Not easy). 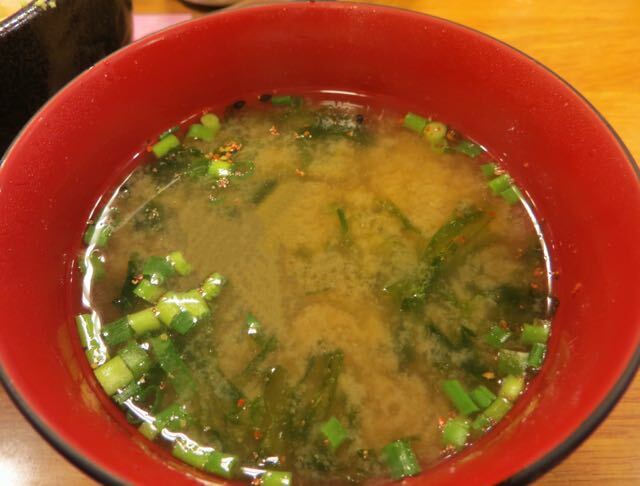 Miso soup often comes as a side bowl with set menu meals so you don’t usually have to go far out of your way to try it. Also, it’s not like those versions you get at home, which are just salty, sad and disappointing. I used the Japan Lonely Planet Guidebook. Although it’s not filled with pictures, it’s got all the details you need including train and bus routes and times as well as city maps. 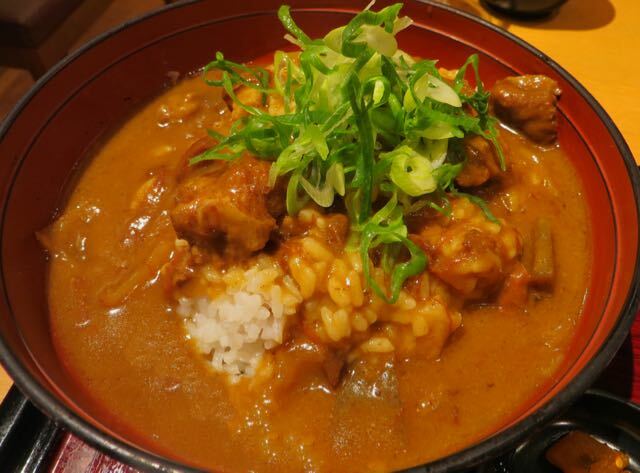 For someone who could eat curry professionally (I’m looking into it), the prevalence of curry rice in Japan made every mealtime a real challenge – do I have [insert name of some new dish from my what to eat in Japan list] or have curry rice. The new foods didn’t always win. In case you’re not good with spice, the Japanese curries were more flavourful and aromatic than scorchy hot. 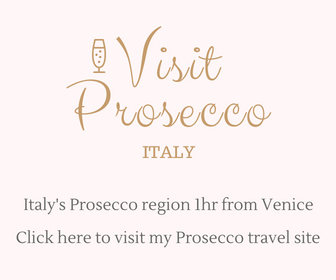 This falls into the ‘when in Rome’ category. 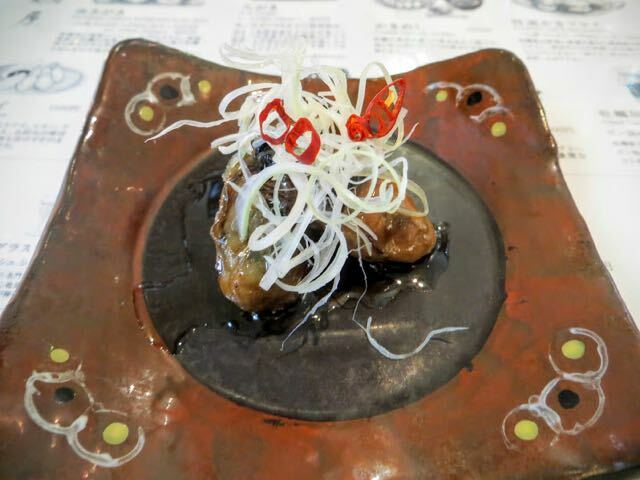 Fugu or pufferfish is most well known as the deadly fish that can kill you if it’s not prepared properly and if you’re up for an adventure, Japan (where they have properly trained fugu chefs), is the place to try it. Just whatever you do, don’t buy this fish, watch a YouTube vid and think you’ve got it covered. Also don’t expect this to taste good – it’s by far the most disgusting fish I’ve had the displeasure of consuming (beating cuttlefish by a long shot). 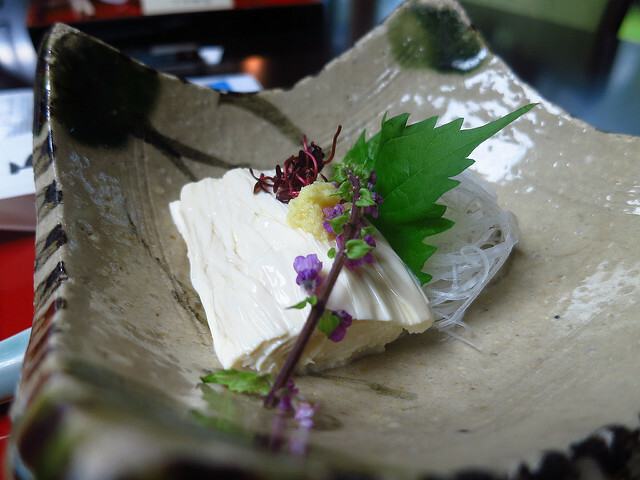 You can read about my experience in my related post: I Ate Fugu in Japan and Lived to Tell the Tale. Where to stay: You might want to check out my related post: Where to stay in Japan on a Budget. You’ve probably at least heard of teriyaki, if not tried it. The main attraction for me is the sugary soy-sauce glaze. 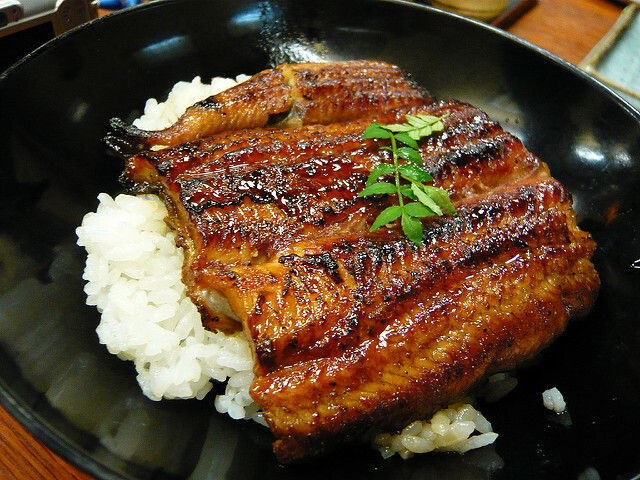 Although meat teriyaki might be the norm at home, in Japan it’s all about the fish – give the mackerel, eel or at least the salmon a try. This Japanese chef had some speed going on. I put this one after teriyaki as I always get these two words (and foods) confused. So, what’s the difference? 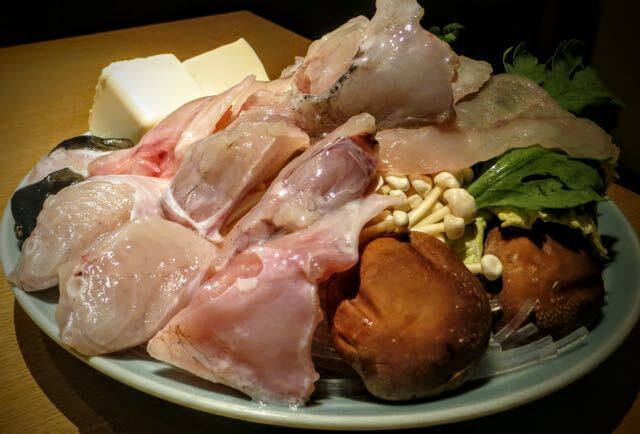 It largely comes down to two things – teriyaki is coated in the sweet sauce before it’s grilled or barbecued while teppanyaki is more about the style of grilling/barbecuing – on a teppan (a special kind of grill plate). 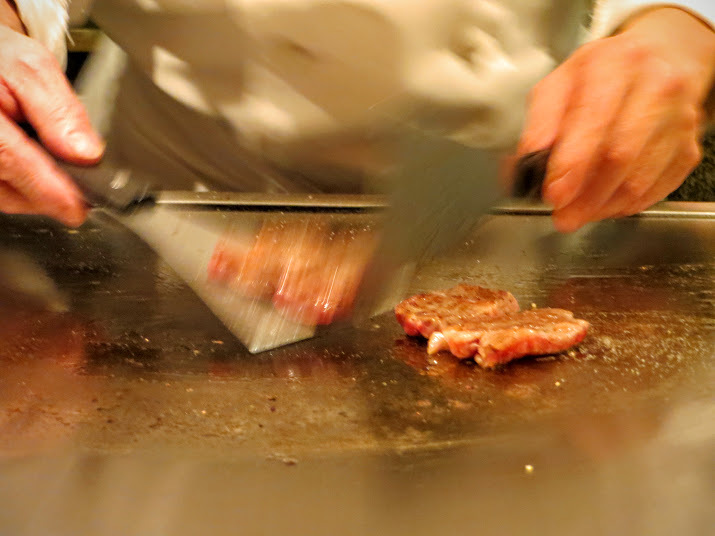 Mental note: teppan, teppan – think, grill pan. Any food can be cooked teppanyaki style (noodles, vegetables, meat, fish). Also, teppanyaki doesn’t have the sauce (sob). In both cases, I’d urge caution – read the menu carefully or you might end up consuming something you don’t want to. Anything on there you wouldn’t eat…I can spot at least one thing…and it’s not the mushrooms. 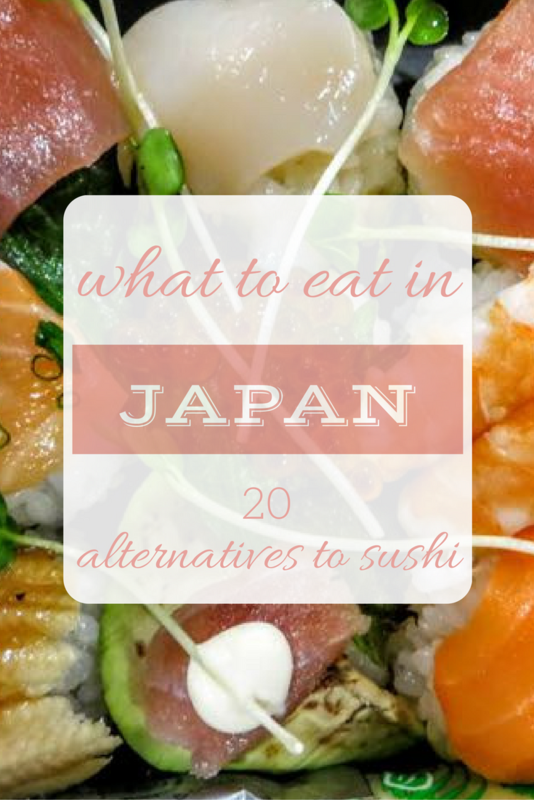 If you’re vegetarian, you’ve probably been scrolling through this list of what to eat in Japan and getting frantic at the appparent lack of choice for veggies. 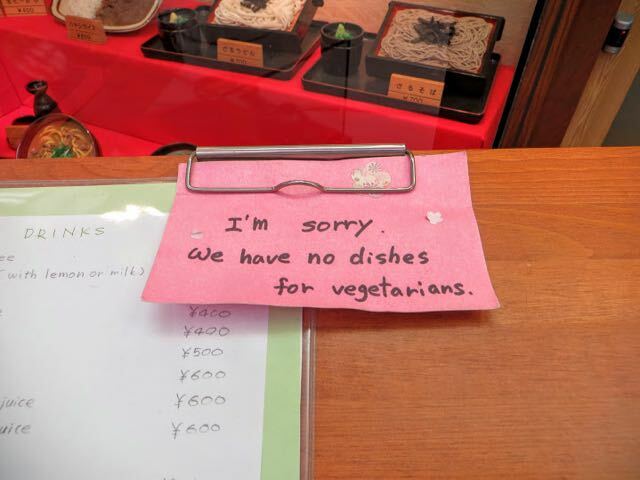 The bad news is that Japan isn’t as vegetarian friendly as you might think (photo above pretty much sums up the attitude). 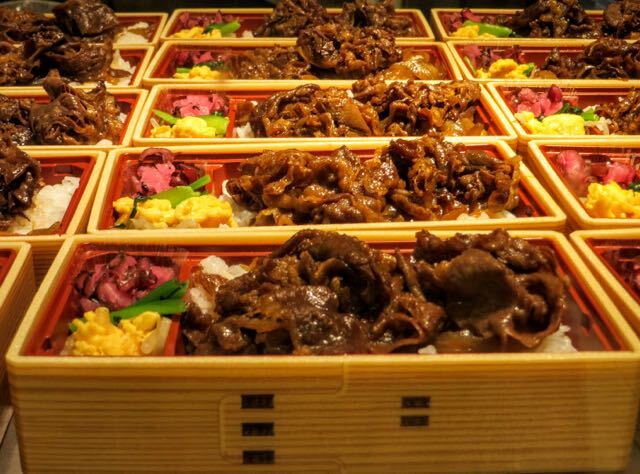 The good news: you’re not the first veggie to travel to Japan and there’s a wealth of information online to help you navigate the carnviorous ways of this country. 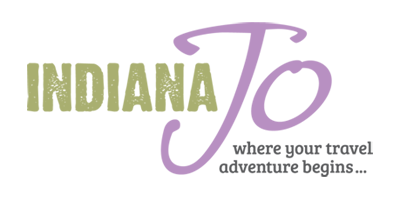 Check out this survival guide as a good starting point. 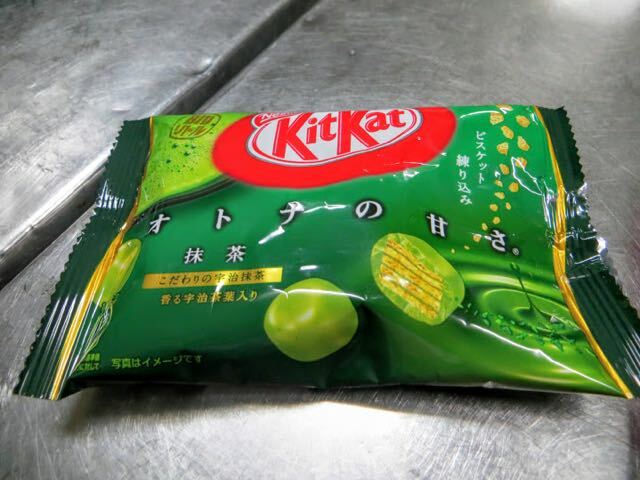 I would challenge you to get through an entire trip to Japan without eating anything with green tea in, on, or near it, but why would I suggest that when there are so many green-tea goodies to try? 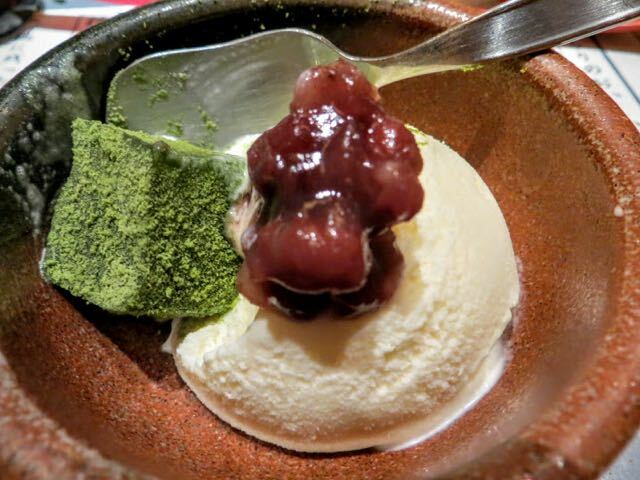 Ice cream with a green tea jelly accompaniment. If you want to go completely crazy, try the green tea ice cream with a green tea side something. Stereotypes will have you believe that the Japanese never let a bread-based item pass their lips but that simply isn’t true. 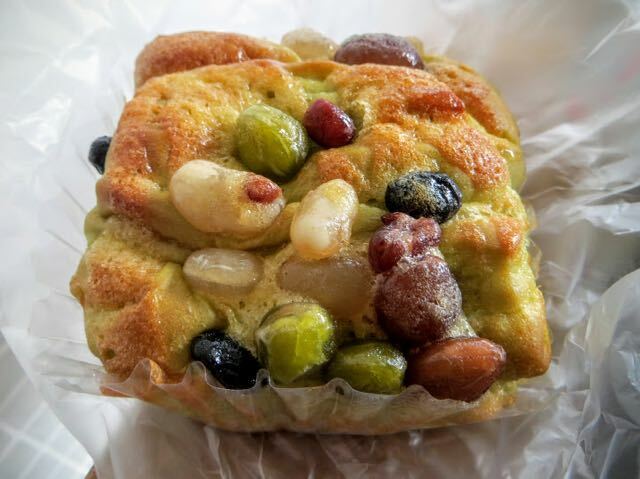 In fact, the bakeries in Japan are enough to make you pack your stretchiest pants. 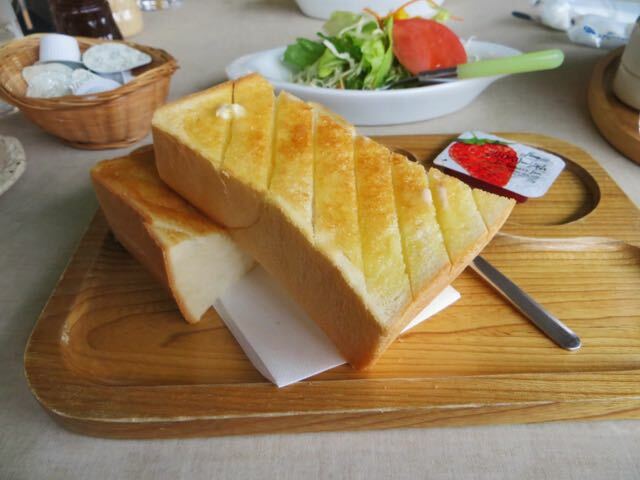 The bread based products in Japan are so good that they even served up what was probably the best toast I’ve ever eat. On cold winter days I still dream of this doorstop wedge of hot buttered toast. And look at this. Is it a banana? Is it a giraffe? Who cares. It’s edible. It’s in Japan. It’s going to taste phenomenal. Ok, this is supposed to be a list of 20 and I guess dessert shouldn’t technically be a substitute for a main meal (though sometimes it is in my world). But I simply couldn’t send this post out into the interwebbyworld without mentioning the desserts in Japan. 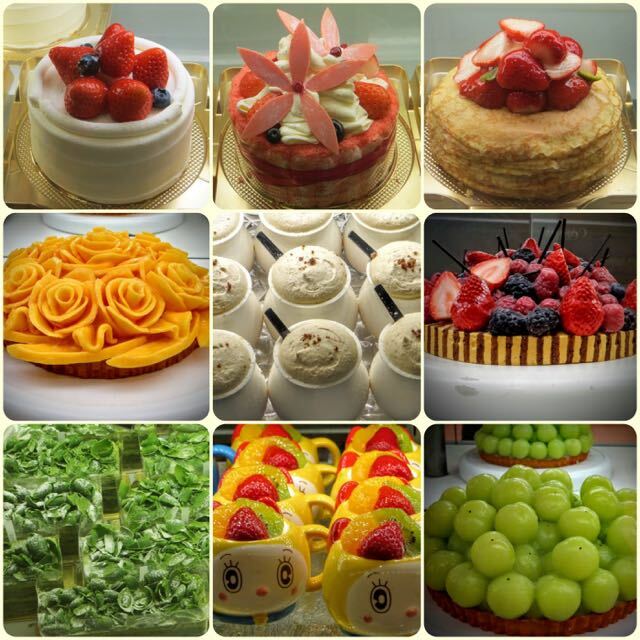 If there is one food space where the Japanese excel, it’s the presentation of thier cakes. I make no apology for the volume of cake shots above. They were almost too good to eat. 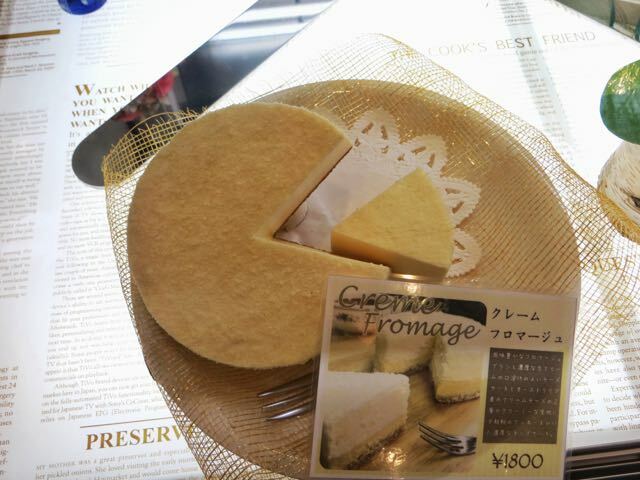 Contrary to assumptions, cheesecake is on the menu in Japan. 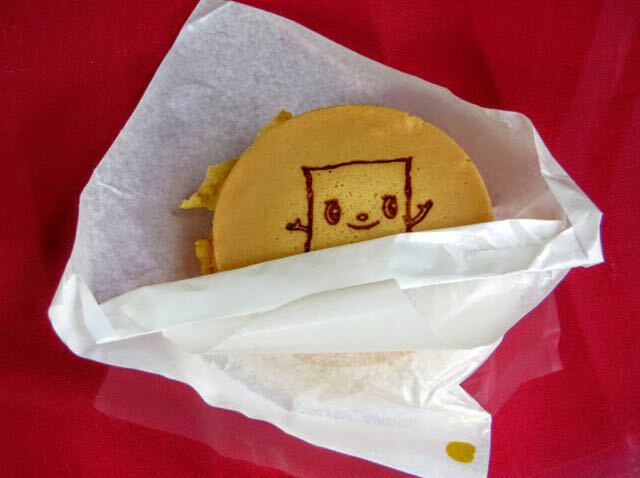 Even this sugary street-food snack was served with a(n imprinted) smile, which pretty much sums up how my stomach felt after spending a month eating my way around Japan. 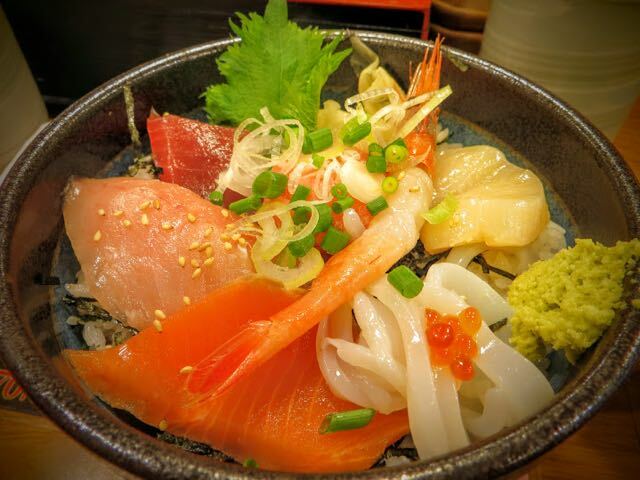 What’s your favourite food in Japan? And what have I missed – let me know in the comments below. Kobe beef as you mentioned is all the rage lately so I might try this at a local Japanese restaurant if it’s available. 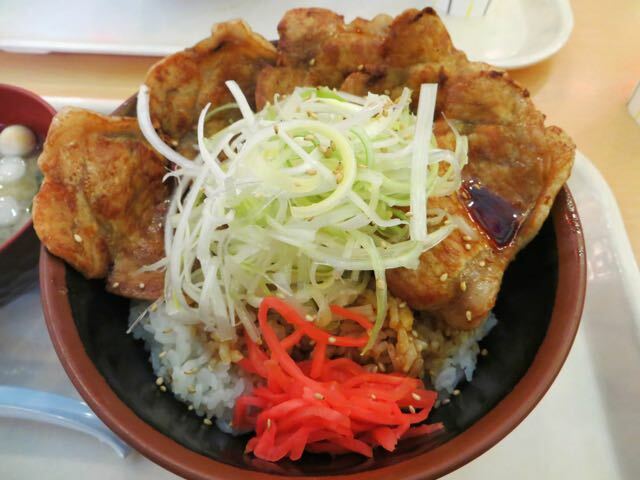 Donburi bowls which you listed also looks appealing so I might order that as well. Noodles, as you pointed out, are indeed a classic of Asian cuisine so I’ll be sure to eat some when I find a good restaurant next month. Thanks for the comment, Sariah. (On a side note, please don’t try to add spammy promotional links in your comment. I will take the time to remove them. Also, as SEO goes, they’re pretty ineffective in 2019). I’m currently living in Thailand but have my eyes set on Japan. Thank you very much for the post, it was very interesting! Happy to help, Brett. I’m off to Thailand in the New Year. We might need to do a tip exchange! Not that I’d actually need an alternative to sushi, but these do look amazing, and remind me that I need to figure out a way to get to Japan very soon. I’m a huge fan of Okonomiyaki btw! 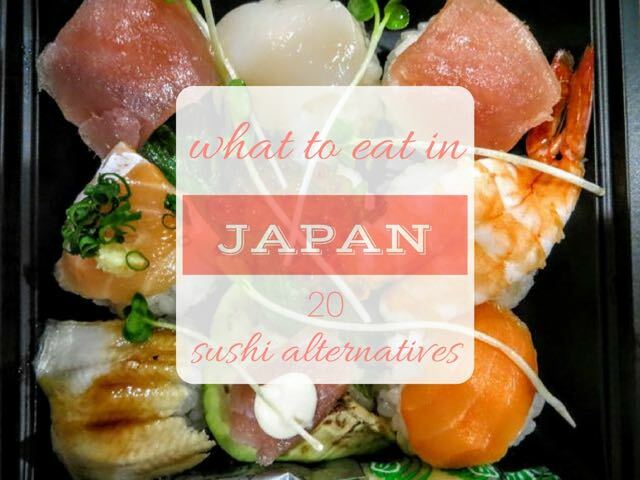 Sushi is a good snack in between all these other foods, I found 🙂 Glad you liked the post and let me know if I can help you figure out a way to get to Japan. If it helps, it’s not as expensive there as people say (aside from the trains).